Celebrate life with Swarovski in your hair! 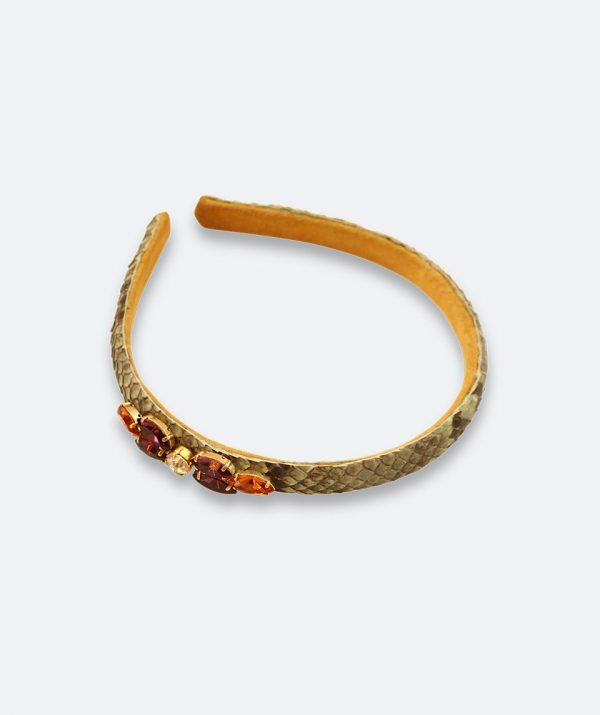 )Pistachio python hair band with ocher suede lining. You feel like a princess with this hair band (tiara) the combination orange and purple Swarovski stones are a dream.